Potatoes should be firm, well-shaped and relatively smooth, and should be free of decay that often manifests as wet or dry rot. In addition, they should not be sprouting or have green coloration since this indicates that they may contain the toxic alkaloid solanine that has been found to not only impart an undesirable taste, but can also cause a host of different health conditions such as circulatory and respiratory depression, headaches and diarrhea. The ideal way to store potatoes is in a dark, dry place between 45F to 50F as higher temperatures, even room temperature, will cause the potatoes to sprout and dehydrate prematurely. While most people do not have root cellars that provide this type of environment, to maximize the potato's quality and storage, you should aim to find a place as close as possible to these conditions. Storing them in a cool, dark closet or basement may be suitable alternatives. Potatoes should definitely not be exposed to sunlight as this can cause the development of the toxic alkaloid solanine to form. A perfect way to eat your potatoes and the oven does most of the work. In a bowl, combine beef broth, olive oil, salt, pepper and garlic powder. Set aside. Wash potatoes, cut potatoes in half lengthwise, then cut each half in thirds lengthwise. Total of 18 wedges. 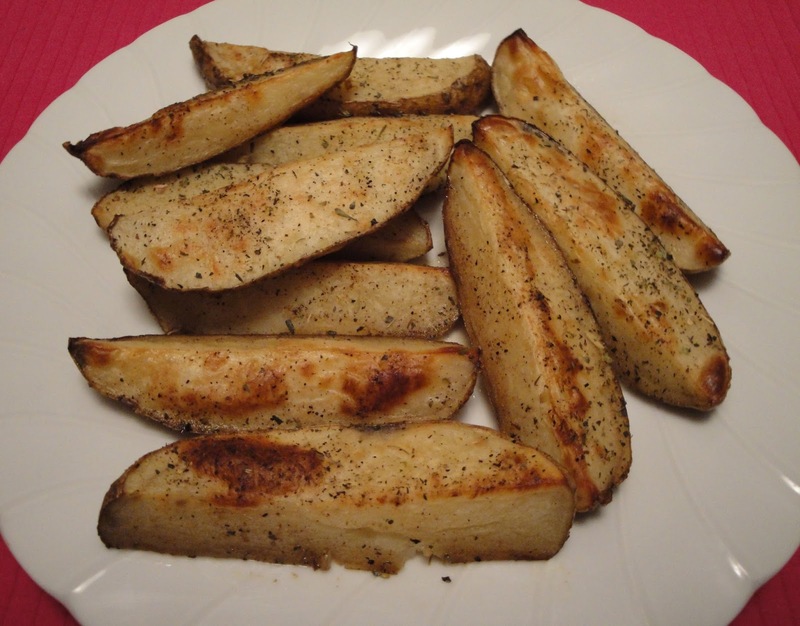 Place the potato wedges in a baking dish in a single layer. Pour beef broth mixture over potato wedges. Make sure potato wedges are completely cover. Turn potatoes after 20 minutes. Sprinkle Italian seasoning. Cook another 10 to 15 minutes, until fork tender. Enjoy! Thank you for the potato storage tips, Christine, and for the delicious recipe! We had baked potato wedges for the lunch yesterday too. It was a pure joy and deliciousness.